After launching the HTC Desire 828 Dual SIM and HTC One A9 in India last month, HTC on Friday launched the Desire 728 Dual SIM in India - priced at Rs. 17,990. The smartphone will be made available via major offline retailers in the country from next week in White Luxury and Purple Myst. 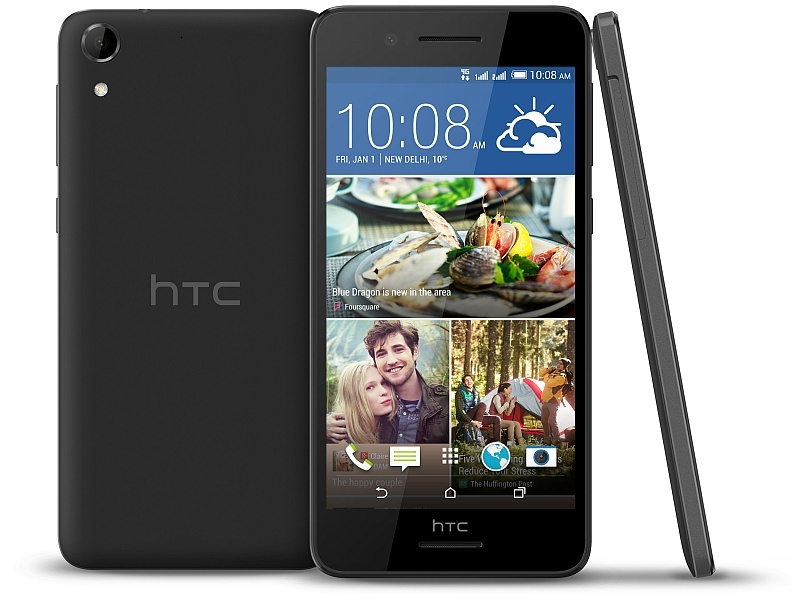 To recall, the HTC Desire 728 Dual SIM was launched in China in September last year. It runs Android 5.1.1 Lollipop with HTC Sense and features a 5.5-inch HD (720x1280 pixels) IPS display like the Desire 820G+ Dual SIM, which was launched in July. It packs the same 13-megapixel rear camera with LED flash, but a 5-megapixel secondary front-facing camera instead of an 8-megapixel one. Also, the handset is powered by a slightly less powerful octa-core MediaTek MT6753 SoC (clocked at 1.3GHz) and 2GB of RAM. The 16GB inbuilt storage on the Desire 728 Dual SIM is expandable via microSD card (up to 2TB). Connectivity options on the handset include Wi-Fi, FM radio, Bluetooth, GPRS/ EDGE, GPS/ A-GPS, 3G, Micro-USB and 4G LTE TDD connectivity with support for Indian networks. According to the official listing of the HTC Desire 728 Dual SIM, the handset is backed by a 2800mAh battery that can offer up to 21 hours of talk time and up to 485 hours of standby time in 3G. It measures 157.9x77.84x7.87mm and weighs around 153 grams. Much like other recently launched HTC smartphones, the Desire 728 Dual SIM features HTC BoomSound technology, which is complemented by Dolby Audio as well. Faisal Siddiqui, President South Asia HTC, said of the launch, "The new HTC Desire 728 Dual SIM brings distinctive design into a feature-rich smartphone, providing you with a great value smartphone which you can truly make your own. We want to provide a powerful, fully customisable experience to our customers, and the HTC Desire 728 Dual SIM brings this in abundance."